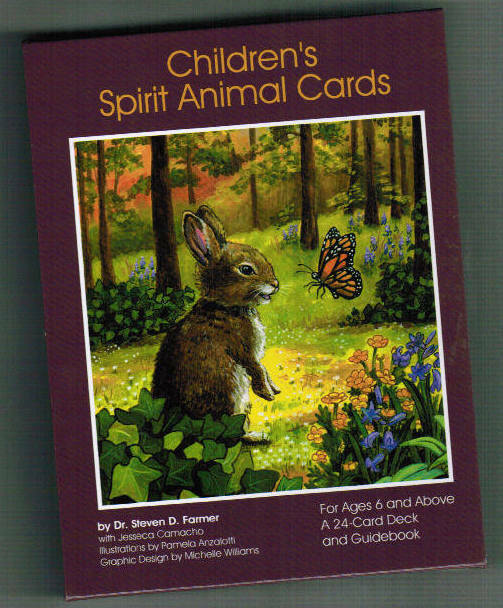 Drawing today from a children’s deck, the Children’s Spirit Animal Cards by Steven Farmer. I’m not sure I’ve ever drawn from this deck before in this space. These cards are very simple, gentle, and need little interpretation — they are meant to be used by children, but then, we are all children. Here, we have the Eagle bringing us the message “Do the right thing,” and the Raccoon (actually three raccoons), telling us “You have everything you need.” Interesting that these are both really carrion animals who thrive on scrounging! One from the sky, and one from the earth. So there’s a message here, that we can do what we should do, that we have everything we need, but that if we don’t we can probably scrounge it and make do. And I would add to that that in these economic times, developing the ability to scrounge and make do would be wise. 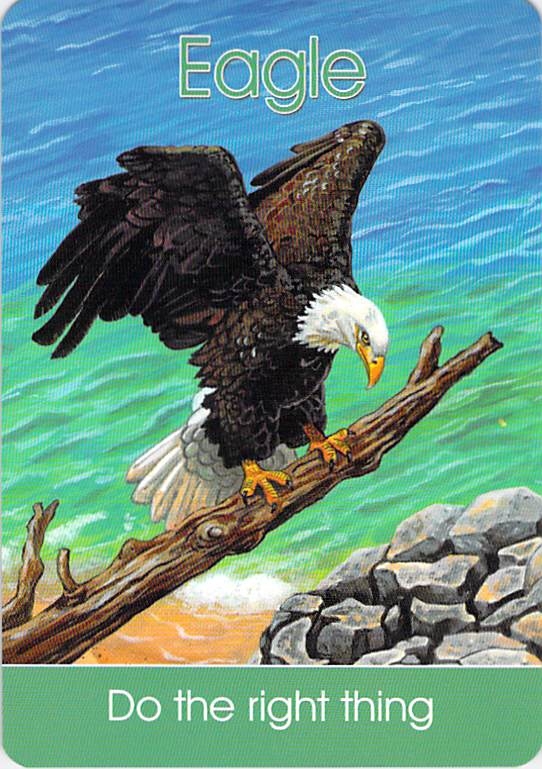 That ability to make do may be the very factor that enables us to soar like eagles. 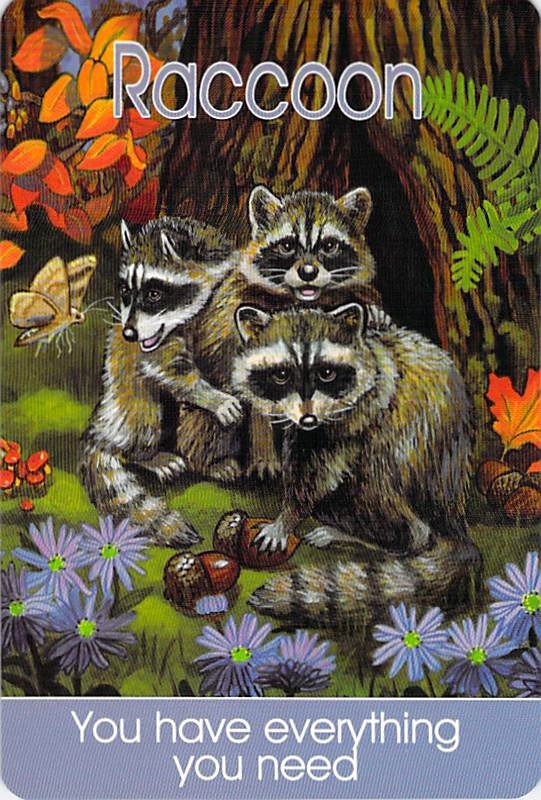 I see another message coming from these raccoons, too. These nocturnal animals advise us not to be afraid of the dark. Sometimes the dark is what nourishes us and keeps us safe — and we’d be wise to remember that.